Know More About Us to Participate in Action Sharing. How to apply for a job to AQUA? You can visit ourcareer page at http://www.aqua.com/karir and fill in the form. How to find out about AQUA's job vacancies is official from the company? Please note that AQUA Group only undertakes official recruitment through direct invitation from the company. The recruitment invitation email is authorized using email @ danone.com. In recruiting, AQUA never asks prospective employees to issue / transfer any amount of money for transportation or accommodation. As a final point, the Company warned all of the aplicants to be more vigilant and cautious in receiving and responding to recruitment information on behalf of our Company. What are the activities of Aqua CSR? Please kindly check AQUA Lestari microsite http://aqualestari.aqua.com/ at website aqua.com to find the answer. I want to visit AQUA Factory. What are the requirements? AQUA is always open to receive visits from institutions and communities to see how our integrated production process in bringing the good of nature through AQUA products to consumers. 1. Applying an official visit request letter from the institution addressed to AQUA Headquarters or AQUA Plant depending on the location designated by the applicant. 2. Maximum number of participants are 35 people per visit. 3. The visit time is adjusted to the willingness / schedule of the Factory to be visited. The company does not charge any fees but the transportation and accommodation are borne by the applicant. How do I subscribe to AQUA? 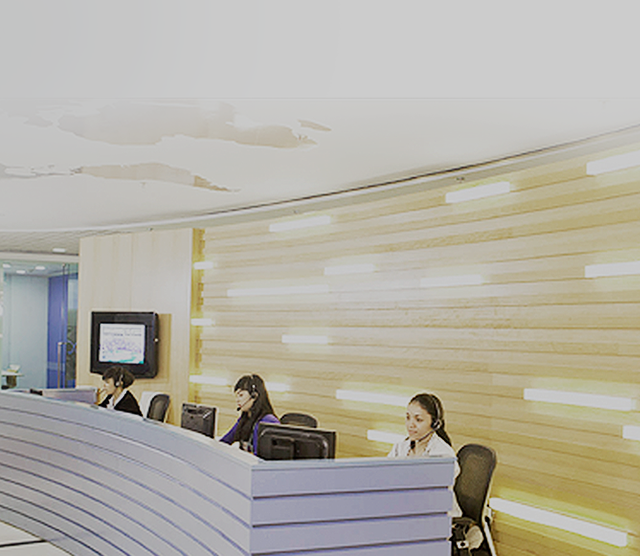 Kindly contact our call center AQUA Menyapa at 0800-15-88888 (toll free). How to check AQUA production code? Please kindly see the AQUA production code listed on the outside of gallons, on the shoulder of bottle, and for the glass packaging is on the bottom of the glass. This production code consists of the date, hour and minute of production. Next to the writing of this code, there are also dates, months and years of decent consumption limit. How can I give complain related to the product I bought? How long is AQUA product safe for consumption? The feasibility period of AQUA consumption is 2 years from start of production. The production date can be seen on any AQUA packaging. This feasibility period of consumption is not because AQUA contains chemicals or other mixtures. Yet, it is for the feasibility of packaging and also avoid the possibility of quality degradation due to the handling and storage of products that are not good and right. If you find a product that is out of the expired date, you can report it to the AQUA team through the AQUA Menyapa service at 0800-15-88888 (toll-free). How to distinguish genuine and fake AQUA products? AQUA is always committed to preventing product falsification by checking our products regularly on the market. To prevent the consumption of counterfeit products, make sure that you buy AQUA products from an AQUA authorized dealer or seller. Expiry date is printed clearly. It has to be easy to read and product is not expired. The expiry date and production code on the bottle cap and the bottle body are similar. The water is clear and not foamy. Once opened, AQUA water does not have any scene. The lid color is combination of blue and white. On the surface of the gallon lid, there is the inscription of Danone AQUA logo and the AQUA QUALITY COMMITMENT symbol. On the side of the gallon lid there is a droplet model (drops of water) used as the opening groove. At the time of opening the gallon cap, the opening flap is in a state like it has never been opened. In the body of the gallon, there is AQUA writing embossed. Once opened, AQUA water does not have any scent. When tasted, AQUA water tastes fresh and does not have a sense of mat. How to differentiate the various AQUA products? How does the electrolysis of water occur? In general, the electrolysis device is a four-legged box made from metal electrodes with a negative and positive polar. If the metal is supplied with electricity and dipped in a liquid containing minerals, then the negatively charged chemical element will go to the positive pole and vice versa. In the electrolysis process, water containing minerals will cause deposition/sediment that are brown, green, muddy or other colors (depending on the type of mineral in the water). Distilled water will not cause in sediment because distilled water does not contain minerals. However, if the distilled water is given a spoonful of salt, then the sediment will also appear. Besides that, there is also the addition of deposits and turbidity that comes from the release of substances or elements originating from the electrodes used because of this electrolysis process. The substance released from the electrode is the same as the electrode material itself, if the electrode is iron, what is released is iron which is seen as a red-brown precipitate. Can water electrolysis detect the water quality? Actually, the function of water electrolysis is not to test water quality. Water electrolysis is relevant in processing the decomposition of mineral content in water using electrodes (electricity). Whereas, the quality of mineral water can only be verified through further analysis in the laboratory. Why AQUA water become cloudy when being tested with ELECTROLYSIS? The function of the water electrolysis is to test whether the water contains minerals or not. Water electrolysis is a decomposition of chemical components into elements using electrodes (electricity), so the cloudy water is a decomposition reaction of mineral ingredients in AQUA water. The cloudy water actually shows that AQUA water contains minerals that are in accordance with Indonesian National Standard certificate (abbreviated SNI) and those minerals are needed to help the operation of our body organs. How can I offer cooperation program with AQUA? How can I offer CSR activities to AQUA? All offers submitted to the company will be followed up by our team that usually handles your questions including CSR activities. Our CSR team then will sort back which offered activities are related to the CSR program initiated by the company on the environment around the operational location. Cyber 2 Tower Floor, 12. I want to offer products/services to Aqua? How can I do that? If there is a demand for the products, our SSD team will contact you soon. Have not found your answer yet?